I StumbleUpon this site yesterday. This is just one of the Hollywood My Little Pony's that they have. 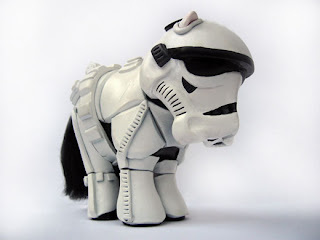 Star Wars, Batman and Robin, Edward Scissor Hands and He-Man are just some of the Pony's available. Just bare in mind, they're $330 each!